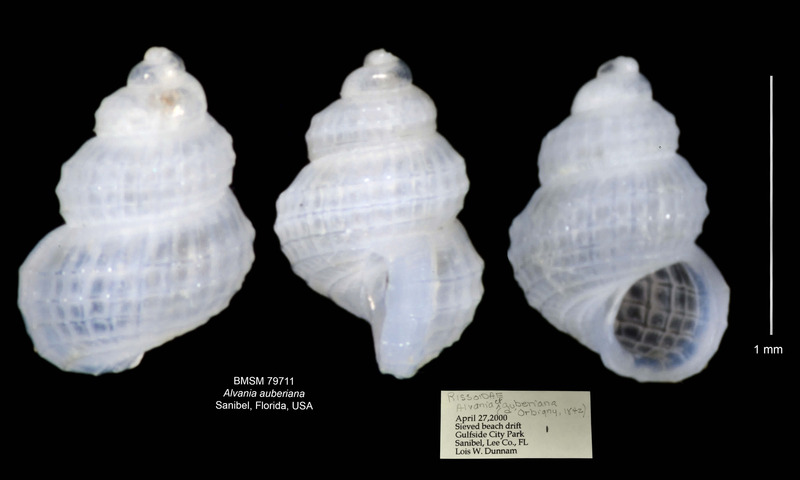 This is one of the smallest mollusks found along the coast of Southwest Florida. Reaching about 1.5 mm (0.06 inch) in size at most, its shell is literally the size of a medium-sized grain of sand. The sculpture of strong, intercepting spiral cords and axial ridges, which renders a crisscrossed aspect to the shell. The free-swimming larvae of this species leave the egg mass about seven days after spawning.